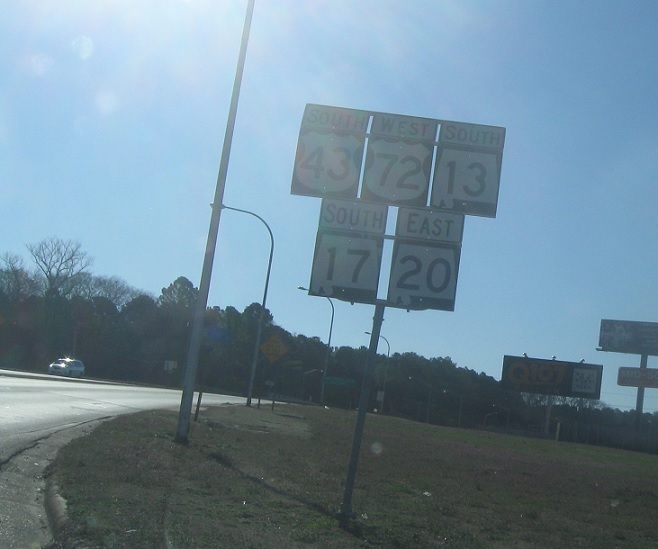 Reassurance shield as SR 20 joins, creating a six-way concurrency for which five routes are signed. 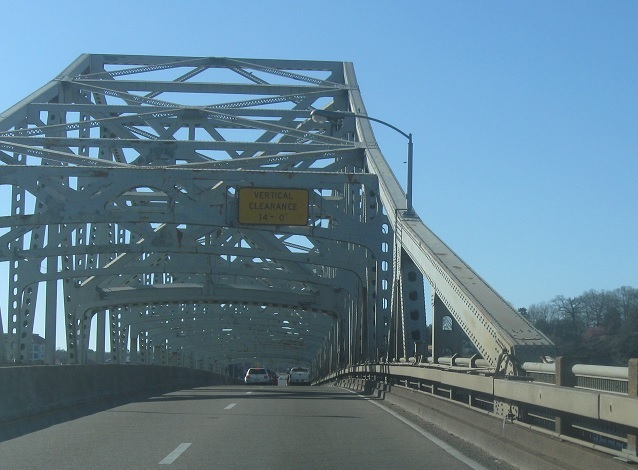 Just after SR 20, we’ll cross the Tennessee River out of Florence. 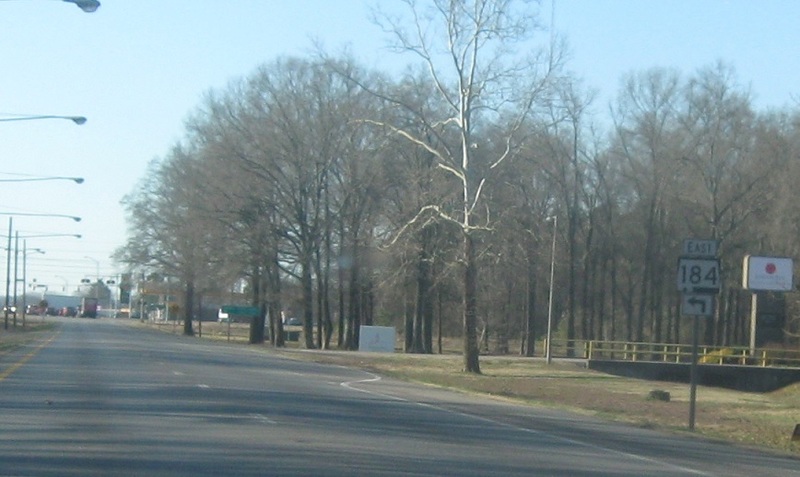 After we come down off the bridge, we’ll enter Sheffield. 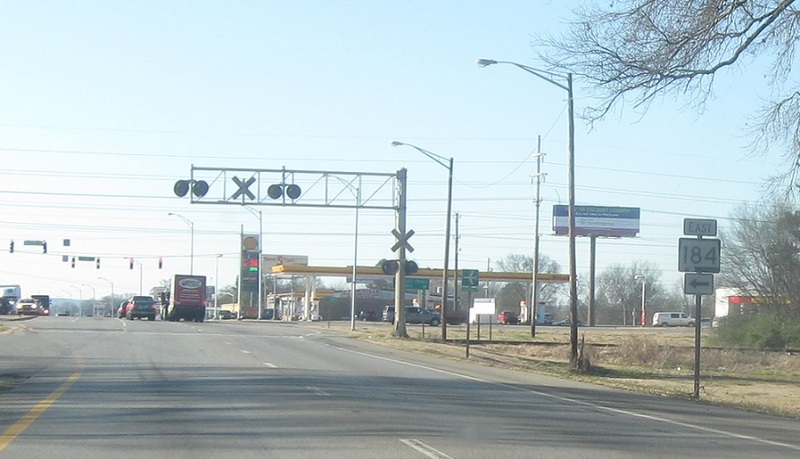 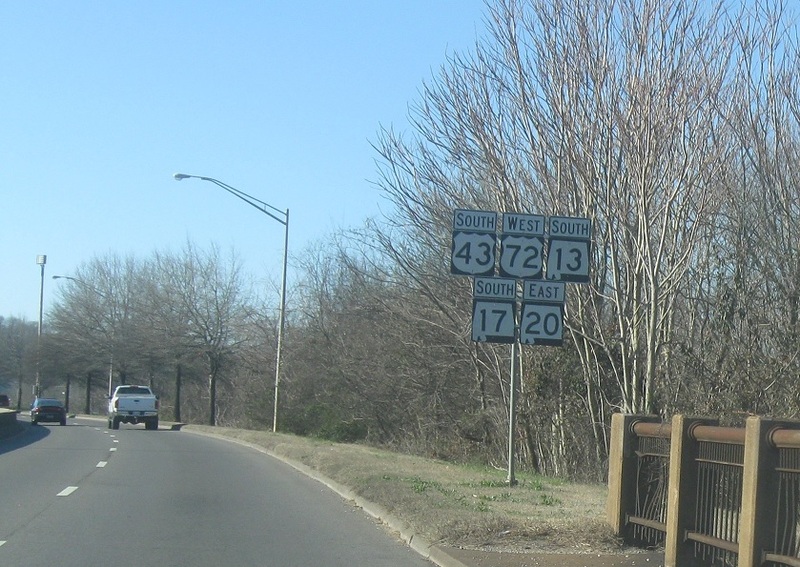 Stay on the state highways for Muscle Shoals – Alabama 157 is not part of this concurrency, though it was at one point in the past. 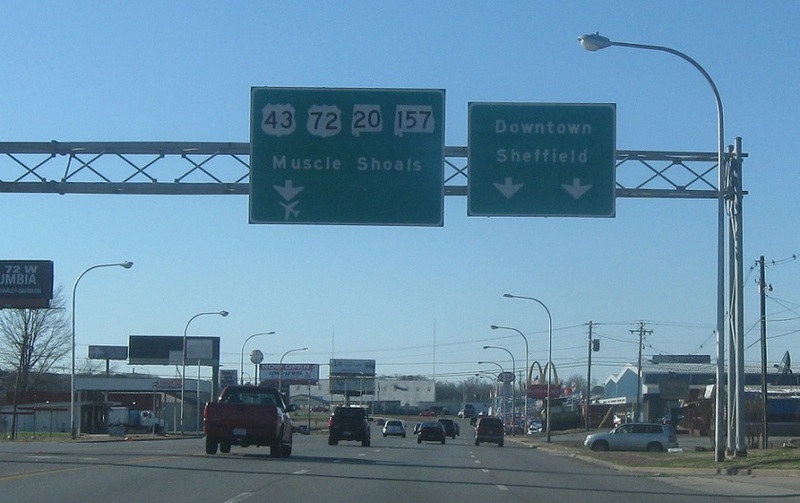 As we enter Sheffield, all five routes turn left. 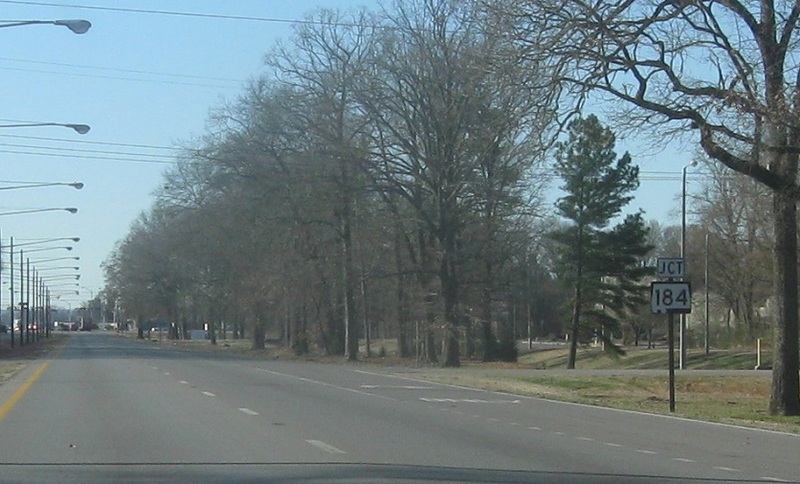 A few blocks later, we’ll approach SR 184. 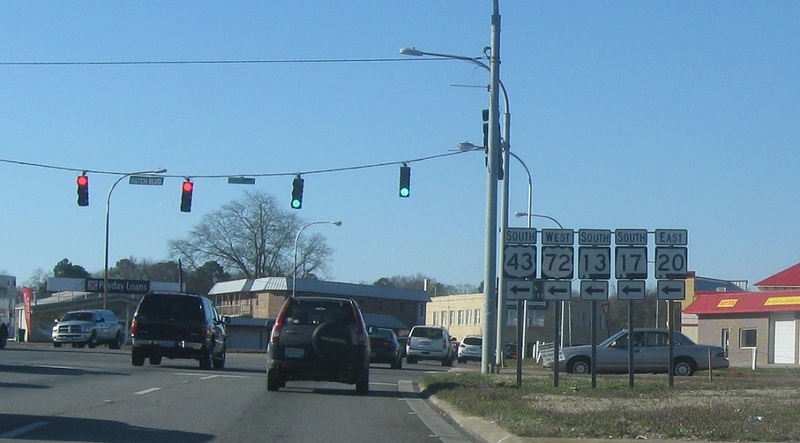 Turn left for SR 184 east.